March, 14 is the π day! 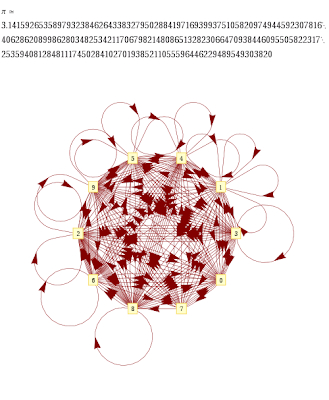 This image shows the 200 first π numbers in a graph form. To see more take a look at the Demonstration Gaphs of Successive Digits of Pi, e, and Phi or click at the image to magnify.